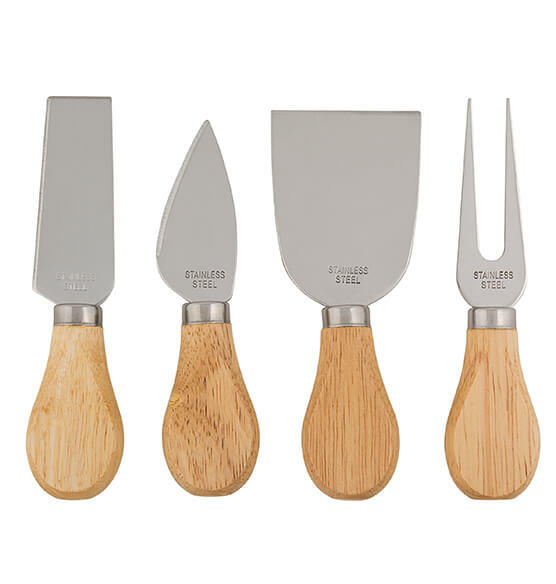 Crafted of naturally durable, eco-friendly rubberwood, this 5pc. 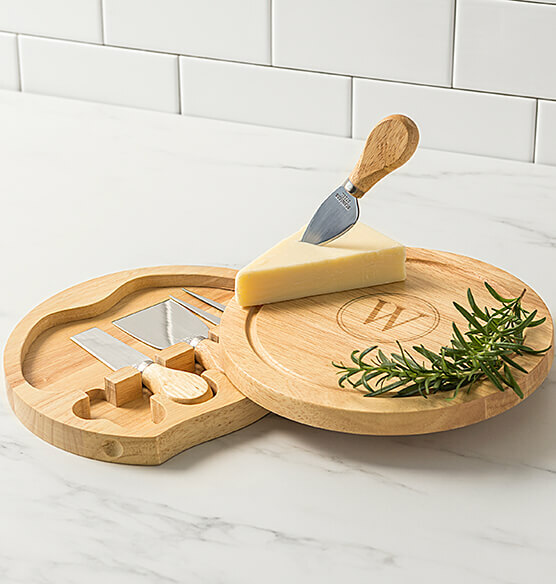 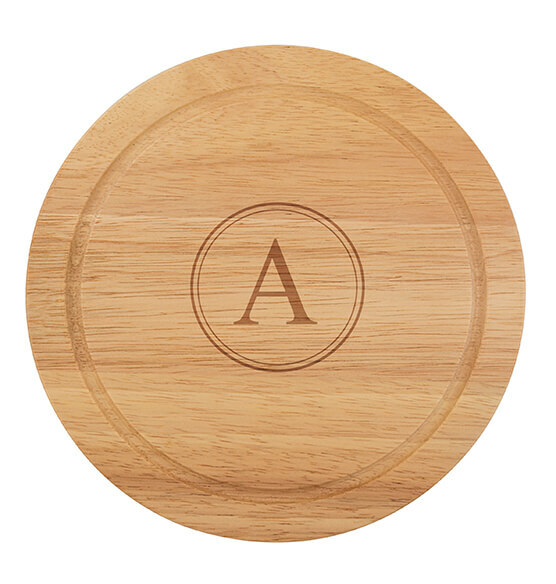 Cheese Board Set features custom engraved personalization and a swivel-style closure that opens to reveal its four cheese utensils stored conveniently within. 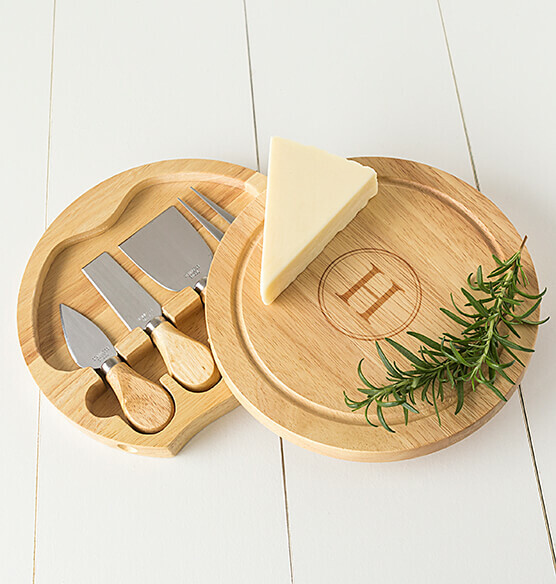 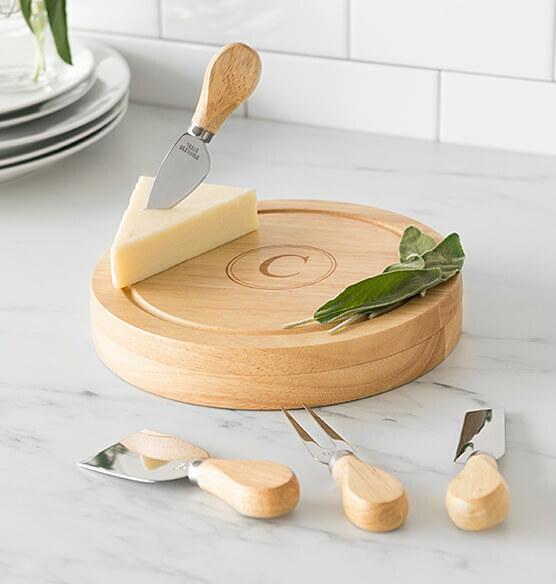 this personalized cheese tray includes swivel-style circular chopping board, hard cheese knife, cheese shaver, cheese fork and cheese spreader.